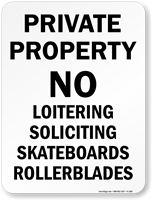 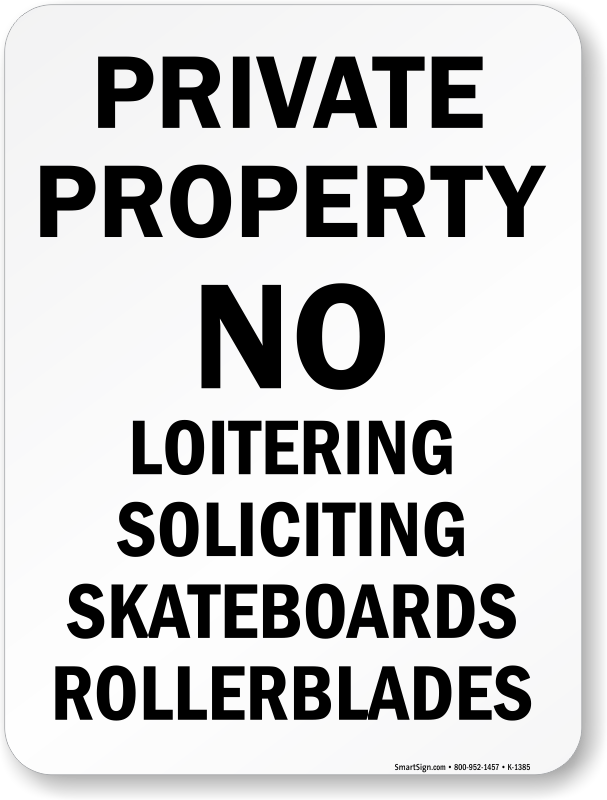 Private Property Sign Announces that Skateboarding, Trespassing and Loitering is Not Allowed. 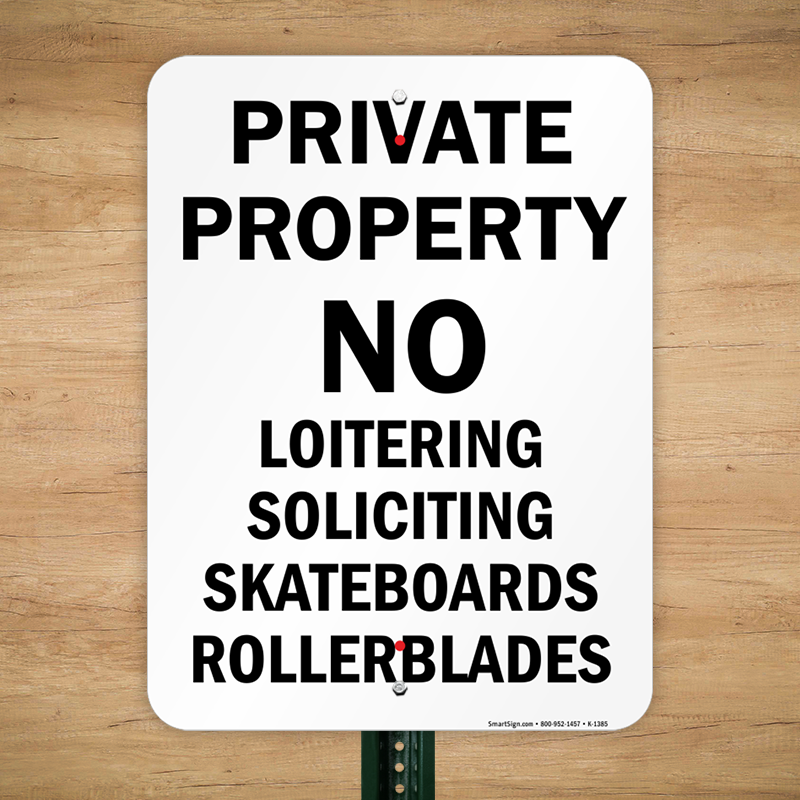 • These No Skateboarding signs are made of rust-free aluminum that is rigid and durable. 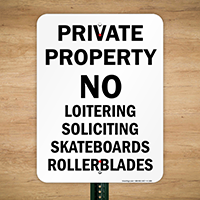 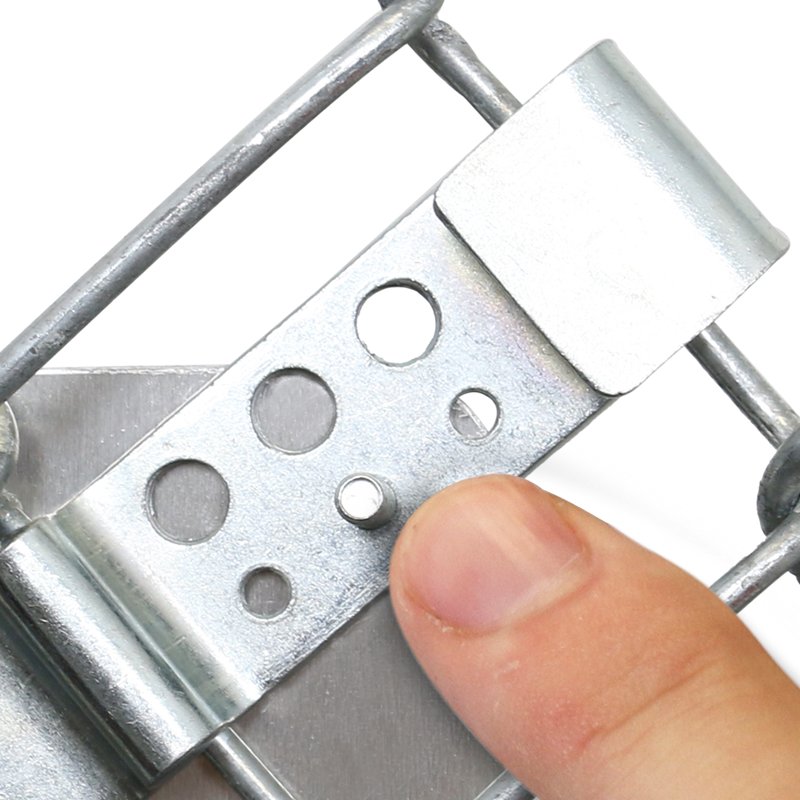 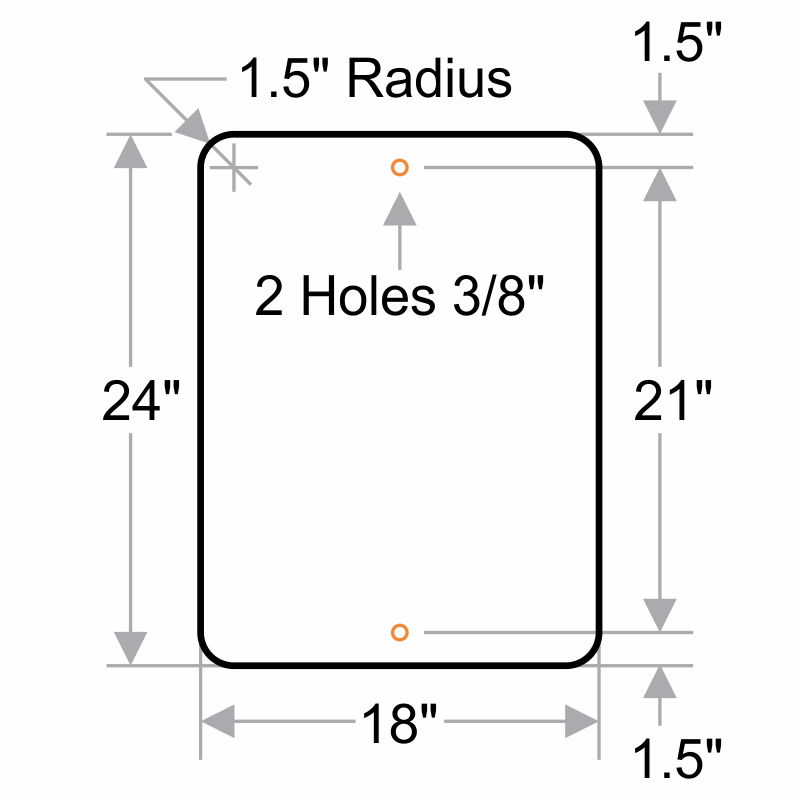 • Our private property signs have four outside holes and two center holes on the top and bottom.